The #1 Live Weekly Podcast in the World comes to Whelans, Dublin on 14th February 2019! Tony Hinchcliffe hosts his wildly popular podcast with his co-host Brian Redban. Rising young up and coming comics or failing older comics get their name pulled out of a bucket, do one minute of material each, and then Tony and his two weekly friends/guests give feedback, extra material, and ask questions to the young performers always leading to a hilarious debacle. Pasts guests include Joe Rogan, Sarah Silverman, Doug Benson, Jeff Ross, and Russell Peters. 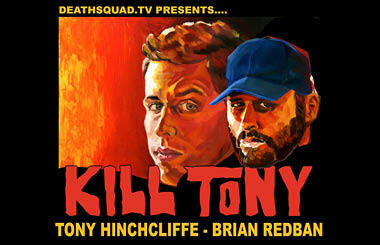 Kill Tony episodes can be found at deathsquad.tv and on iTunes. Tickets priced €22 go on sale this Wednesday 12th December at 10am through www.ticketmaster.ie & usual outlets nationwide.